Neil Burnside (Roy Marsden), The Director of Operations for the Special Intelligence Service, notices he's being tailed on his way to work. The tail turns out to have been set by the new chief of Norway's intelligence service, Lars Torvik, seeking to train his agents on MI6 personnel. Torvik asks for Burnside to assist in training his agents in exchange for intelligence the Norwegians are in the process of gathering. When the Norwegian operation goes wrong, Torvik asks the Burnside to put together a dangerous rescue mission in Soviet territory, but soon becomes frustrated by Burnside's apparent lack of action. 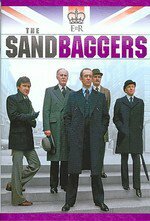 "The Sandbaggers" follows a small eponymous group within the UK's. Set in the then present (1978 - 1980) is notable for it's harsh and often blackly cynical take on the spy thriller genre. In addition to introducing the main characters, this episode lays out one of the major themes and the major focus of the series: Planning and information are paramount in espionage, and usually crucial in determining an operation's success or failure. A few random thoughts: The telephone noise is interesting as a signifier of the times. The rings are sometimes loud enough to drown out dialogue, and are used as a kind of banshee scream. Bad things are happening when the phone rings loud. See also: Sideburns, smoking, small coffee mugs, and suits that prove that fashion is cyclical. One of my favorite moments of black irony is Wellingham and Ross talking about the UK and US's competing medium range missile projects Nemesis and Warbonnet. Wellingham describes the UK's effort as an underfunded shambles nearing collapse, Ross talks about the American project as an over-budget mess trailing the UK's effort. Two NATO allies publicly known weapons programs and neither of them understands the true state of affairs. The show leans pretty heavily on Roy Marsden at times. His final speech to Torvik could easily come across as overwrought. Marsden is more than equal to the task though. Burnside is totally committed to the service, arrogant, driven, competent, and contemptuous in equal measure. Such a huge fan - love this series! Do you want me to rewatch the Sandbaggers for the 4th time? Because this is how you get me to rewatch the Sandbaggers for the 4th time. My Hard Drives are named "Minder", "Burnside", and "Operation Panda". Everyone's seen this series, right? Or do we have to be careful about spoilers? What I liked about this episode the first time I saw it, is that I expected Willie and the other Sandbagger to overpower the Russians *somehow* and rescue the scientists which would totally happen in a US program of the same era or even nowadays. Nope, they just hoofed it out of there. I wasn't prepared for that kind of realism and I was hooked. TWinbrook8: I'd say spoilers for the episode are okay in thread but don't spoil future episodes. You wanna do that, create a whole season thread. I'm a few episodes ahead and should be able to stay that way while re-watching the ep under discussion, so please pardon me if I come with the noob. Like now: Tell me about the END OF PART ONE/TWO/THREE title cards. Were those commercial breaks? I've noticed that the cuts are edited awfully close to the end of the dialog. "There isn't another one, is there? "BAMcut to END OF PART ONE and the overwrought television transitional music almost before the line becomes a question. Is that just to highlight the clever dialog? (Definitely does that.) Were they squeezing for time? Against commercials? The number of names and positions is a little overwhelming at first, especially establishing just how powerful any given person is in general and then in any specific room/group discussion where they show up. Burnside is totally committed to the service, arrogant, driven, competent, and contemptuous in equal measure. This character is utterly fascinating. My modern TV-watching soul is preparing itself for his utter failure to meet my expectations of such a character, he just can't keep the plates spinning so effortlessly and not go mad or break down or something, can he? This link may help as it contains all the acronyms used in the show. This looks like my kind of show. Is it available on any streaming services? I have Amazon, Netflix and Hulu. It's basically not available legally online (for streaming) presently. Do with that what you will. You can get the Region 2 DVD (UK or multi-region DVD player required) for about $35 online, or the US (Reg. 1) import for about twice as much. Worth it. Going back to watch this ep again tonight so I can comment on that article without spoiling anything for this season. OK so that article has some spoilerish bits for SSN2 near the bottom. Maybe nothing, but enough so that someone who hasn't seen it already should probably stop reading just below the second inline picture.